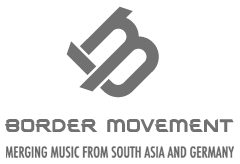 Formed in 2012 as a Facebook group with a handful of bedroom music producers mostly from Dhaka. The DIY community grew in leaps and bounds ever since through encouraging artist interaction and collaborative learning through both online and offline platforms. Curated by Khan Mohammad Faisal, DES in the last 5 years have successfully facilitated the collaborative community to eventually form new artist cliques, helped realize the potential to start new record labels for electronic music and also provided the talents for these creative ventures. This informal Artist Network currently keeps a tab over the work of over 150+ music producers from Dhaka and beyond. The online network also welcomes and accommodates graphic artists, visual artists, writers, promoters and event managers as well as music artists from other Dhaka scenes and encourages cross media projects as well. DES held workshops for producers at different proficiency levels and partnered with various local and international organizations to help grow the practice of electronic music and sound art in Dhaka and Bangladesh through events and various music projects including compilations, video projects, audio art installations and hosts flagship radio show at Colours FM 101.6 featuring the best works from the city on Monday nights. In 2014, DES was picked as the only non profit cultural startup by SDAsia’s documentary ‘Startup Dhaka’ alongside the most promising startups from Bangladesh and the community has been an active participant of the growing startup scene in Dhaka.